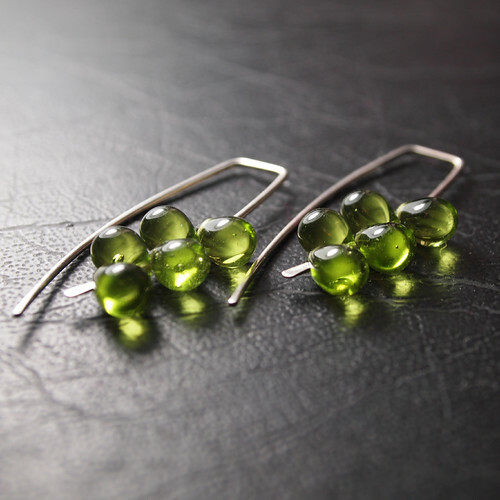 This vibrant pair of earrings is made by Jennifer from Winnipeg-based ToxieDesigns. In case you were wondering, Toxie is Jennifer's nickname for the Amazonian warrior and archer Toxaris. She has handcrafted these earrings out of Argentium Silver and included vintage glass beads as part of the simple and elegant design. Look in her shop to see more designs, some of which were featured in the movies! 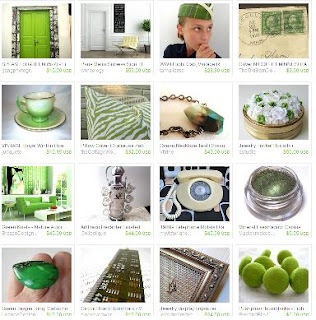 Congratulations go out to IGBijoux, this week's winner in the treasury challenge with her "The Girl Behind the Green Door Got a Letter." Can't wait to see the collections IGBijoux's treasure trove of a shop inspires! 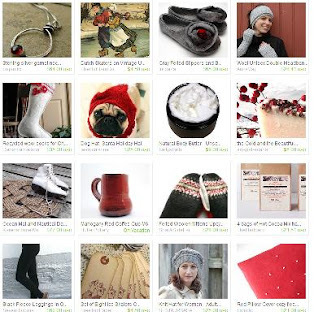 * post the link to your treasury in the comment section of this blog by midnight (Ottawa time) Friday, December 2, 2011. If your treasury link isn’t here, your treasury isn’t entered in the challenge. 'Tis the season to be knitting, fa la la la la...! And zigzagstitches has just the accessory to keep all your knitting in an organized fashion. 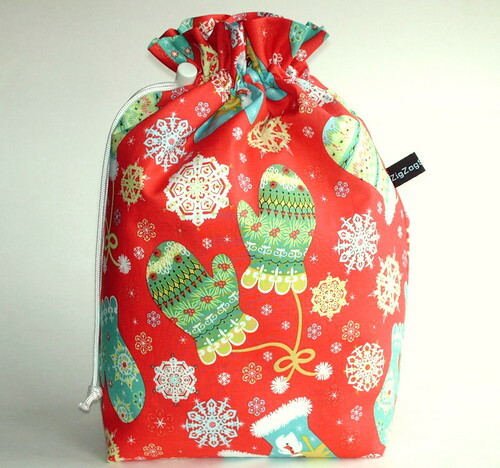 The padded drawstring bag comes in a variety of fun fabrics and has room for lots of yarn, needles and patterns. I especially like the fact that the padding prevents the needles from poking through. Check out more items from this wonderful shop! Get your vote on! 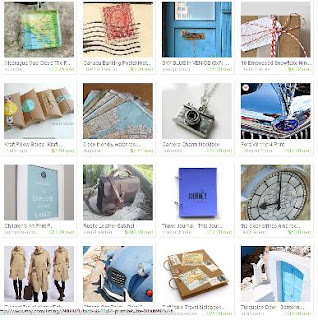 Our lovely judges, Rhonda at whimsypie and last week's winner, Patricia at TheOldBarnDoor, have narrowed down our challenge entries to a manageable four for voting. 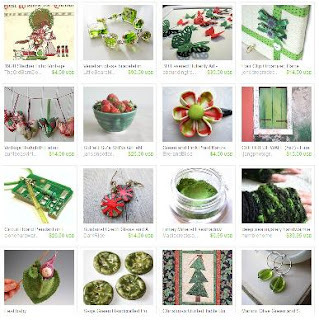 Our four entries this week are It's all about the holidays! by bstudio, The Girl Behind the Green Door Got A Letter by IGBijoux, Traveling Far by KarensRopeWorks, and Seasonal Embrace by DarkRide. The polls will be open until midnight in Ottawa, Friday November 18. 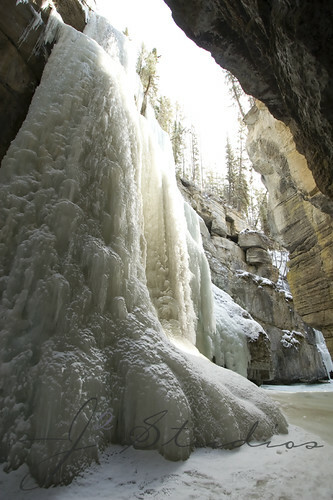 This glorious picture of Maligne Canyon, at Jasper National Park Alberta was shot by Larry of ljangphotography. Taking avail of a rare opportunity to actually walk below in the canyon (which isn't possible during summer as the water thunders down as a waterfall), the viewer can see how the water here has frozen in time, up close and personal. The walls of the canyon are 50 feet high and it must be breathtaking to do the walk on the riverbed during winter. It's now on my bucket list! Larry has done a brilliant job of letting you almost experience it yourself! See more of his stunning photography here. 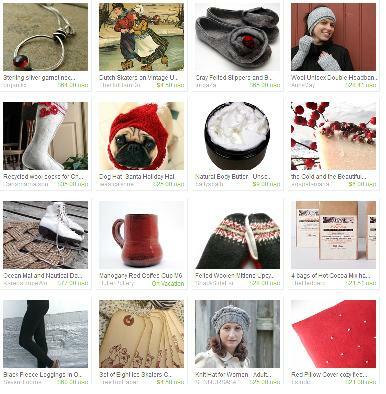 The OhCanadaTeam 2011 Holiday Sale is still going strong! Check out the shops listed below for wonderful deals on handmade and vintage items. Ends Nov. 13th. 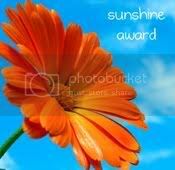 A big Canadian congratulations goes out to Patricia of TheOldBarnDoor. 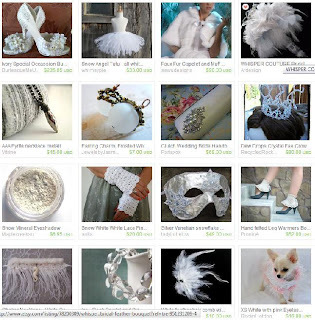 Her gorgeous hot and frosty collection took last week's challenge prize. An item from her shop will be featured in the top row of all this week's challenge entries. 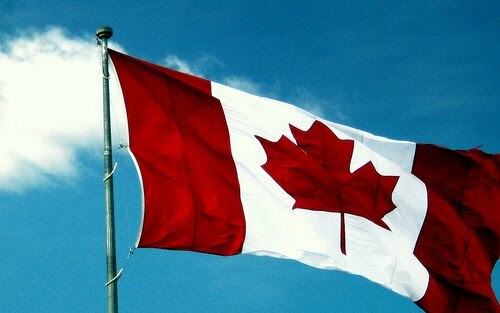 * post the link to your treasury in the comment section of this blog by midnight (Ottawa time) Friday, November 11, 2011. If your treasury link isn’t here, your treasury isn’t entered in the challenge. The OhCanadaTeam is having a special holiday sale from Nov. 6 - Nov. 13. The participating shops are listed below along with their coupon code and discount. Just in time to pick up some wonderful gifts for the holidays! This ring is a beautiful homage to Canada, made by Carla of LeChienNoirJewelry. Labradorite (named after Labrador, Canada where it is mined) has a gorgeous iridescence. Depending on how the light hits it, you will see a shimmer of grey, blue, black, silver and sometimes even orange. 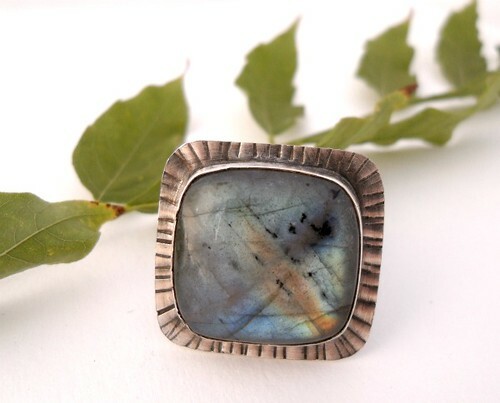 This cabochon's beauty is highlighted by the handmade oxidized sterling silver bezel. For more statement pieces please visit her Etsy store LeChienNoirJewelry.